The Merlin is our smallest bird of prey. It breeds in the mountains and mostly moves out of the country in the winter. It is primarily a small bird hunter. It often stretches quickly, shearing low above the ground. Hiding around, it surprises its presence, when it suddenly turns up at high speed. 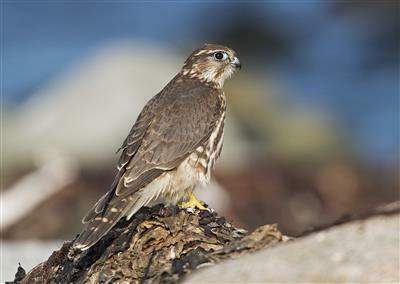 In the lighthouse or along the beaches, the opportunity is good to see Merlins in September. It is out in coast looking for small waders and passerines. Lista is one of the few places where this falcon can be seen in winter in Norway. Nobody has commented here yet. You can be the first to comment here! You must be logged in to add comments!